There are many parks and gardens in South Gironde... If you want to fill up with greenery and fresh air, you are in the right place. Between city parks, remarkable gardens, woods, chatel gardens... The choice is vast! 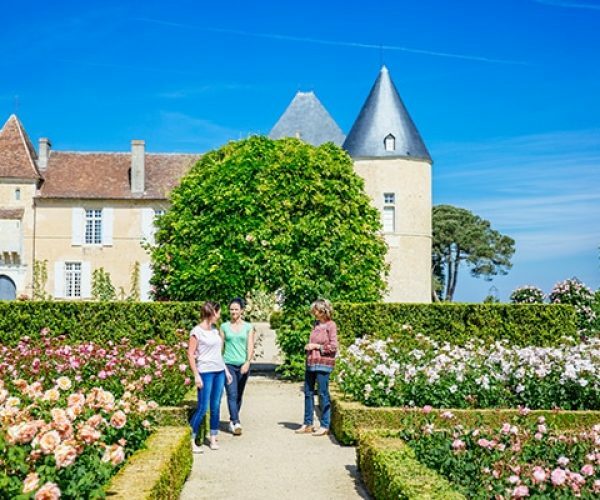 Smell the flowers of the "remarkable gardens"
In the South Gironde, two magnificent castles have seen their parks rise to the rank of "remarkable gardens". 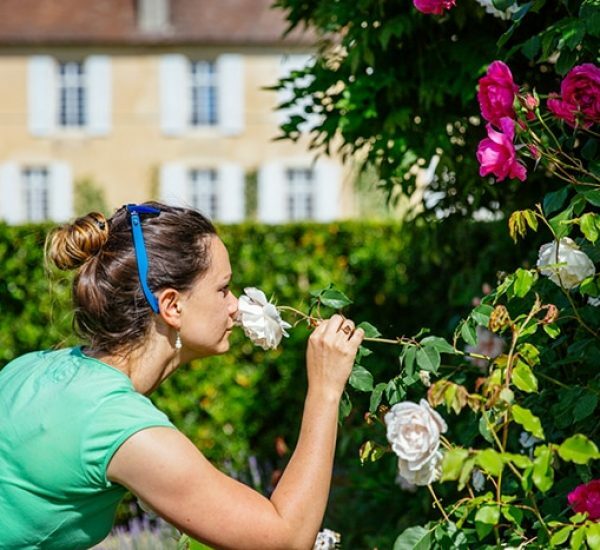 Enter the park of Château de Mongenan in Portets: a botanical garden where your nose will be surprised by the scent of the flowers. Between roses and jasmines, let your senses guess which flowers inhabit this garden... But the flowers are not the only occupants of the garden, vegetables and fruit trees litter the paths of the park. In Podensac, the immense Parc Chavat offers a colorful itinerary! 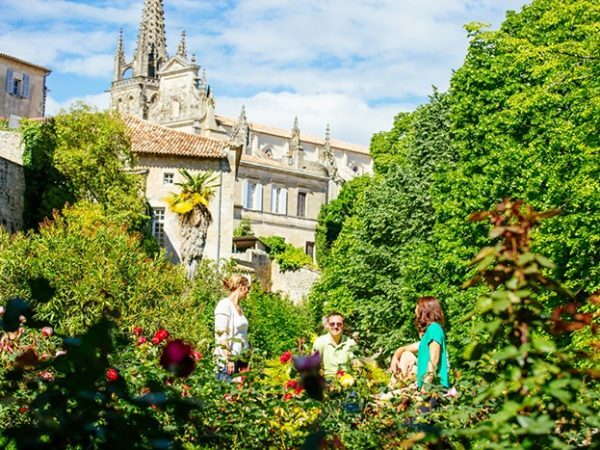 Between terrace with view on the Garonne, ancient statues, greenhouses and waterways, your visit in this landscaped park will mark your minds for a long time... A park unavoidable South Gironde! In Langon the city is a true lung of greenery! If you feel the urge to take a walk or just pick mushrooms, head for the small park with the enchanting name: Snow White Wood. For a more cool stroll along the Garonne, go to Parc des Vergers, where you can picnic near the banks of the river, overlooking the Mauresque Tower. In Bazas the medieval garden of the Chapter, belonging to the Bishopric, runs alongside the Cathedral. It will offer you a nice panorama on the valley of Beuve and the ramparts of Bazas. At the entrance of this little haven of greenery, you will even find the remains of a tower of the ancient episcopal palace. It is an ideal place to enjoy the quiet, in the city. Always in Bazas, at the foot of the ramparts, you will find the garden of the Sultan, a pleasant place, where the rose is queen! Enjoy an incredible view of the ramparts and the Cathedral of Bazas! The vineyards of Sauternes also have magnificent gardens! 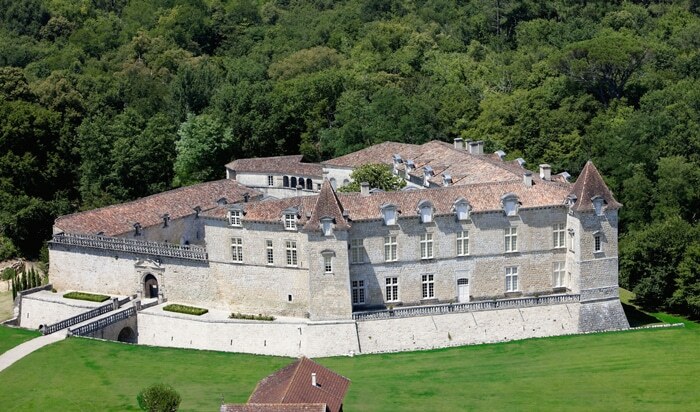 After a tasting at Château de Malle, discover these beautiful Italian gardens with marble statue, Italian theater and stunning views of the surrounding vineyards: a pleasant interlude in South Gironde and kind! Château d'Yquem, the only Grand Cru Supérieur in Bordeaux, is also renowned for its French-style gardens and its roses, which are always perfectly maintained!